Jean Merle Herndon passed away March 29, 2019 with her loving family by her side. She was born in Leakesville to the late Pep and Sweetie Cooley. Ms. Jean worked hard for many years at Brookwood Manor Nursing Home and was a member of Unity Baptist Church. She loved her family and was a faithful Dallas Cowboys and Atlanta Braves fan. She was loved by everyone in the community and will be greatly missed. She is preceded in death by her daughter, Tracy Lynn McIlwain; parents, Willis Austin “Pep” and Sweetie Marie Greene Cooley; brothers, Willis G. Cooley, Athon E. Cooley and Bill Cooley. 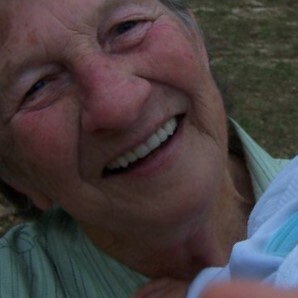 Those left to cherish her memory include her loving husband of 58 years, Lyman “Buddy” Graham Herndon; sons, Leonard Herndon and Jeff (Joy) Herndon; grandchildren, Chad (Jessica) McIlwain, Cory (Fallon) McIlwian, Maci McIlwain, Easton Herndon and Hadley Herndon; great-grandchilden, Cohen, Coye, Case, Huck and Eve McIlwain; sisters, Carolyn (Kenny) Ball and Sue Lene (Butch) Ezell; sister-in-law, Elaine Cooley; numerous other relatives and dear friends. The Visitation for Ms. Jean Herndon will be Tuesday, April 2, 2019 at Unity Baptist Church in Leakesville from 6:00 PM until 9:00 PM. The Funeral Service will be Wednesday, April 3, 2019 in the church sanctuary beginning at 11:00 AM with Bro. Walter Mixon and Bro. Randy Pierce officiating. The family will receive friends one hour prior to the service. Burial will follow in Unity Baptist cemetery. Those honored to be Pallbearers include Jeremy Howard, Thomas Cade, Clint Cade, Jason Miller, Luke Miller, Scott Nettles and Easton Herndon.